If you have an old Coleman stove that is rusty and has chipped surface paint, you may wonder if it's possible to repaint Coleman camp stove parts and surfaces. Refurbishing your old and well-used Coleman stove isn't that difficult if you have the right tools. 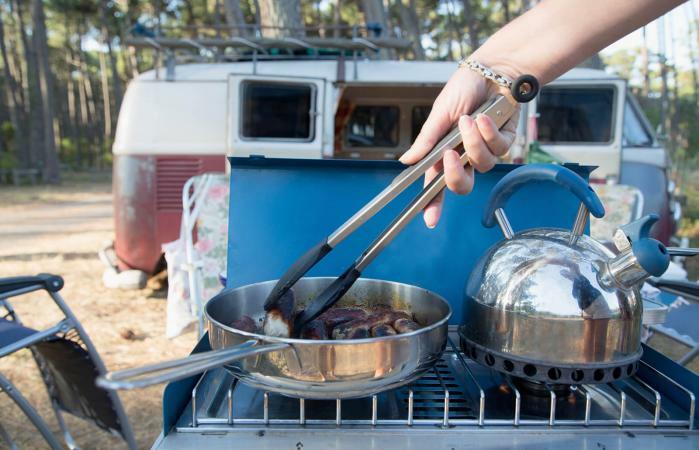 Before you venture to paint your Coleman stove, there are a few pivotal tools that you will need. Do You Need to Use Primer When You Paint? One of the most important things to consider before attempting to repaint your Coleman camp stove is the condition of each part of your stove. Where is most of the rust accumulated? What metals are you dealing with, and what is the condition of any plating or paint, such as the stainless-steel grate or the painted aluminum wings? Should You Disassemble the Stove? Sometimes it isn't necessary to disassemble the stove completely, so you can repaint every single part. Instead, consider thoroughly cleaning off the surfaces and parts that haven't accumulated any rust or which the original paint is still in excellent condition. Sometimes you might be forced to repaint an entire stove simply to make sure the paint color matches throughout. However, that doesn't mean that you have to repaint the grill or the burners. Carefully examine each part of the stove and decide what surfaces you feel need to be refurbished. If everything needs a fresh coat of paint, then you will need to disassemble the grill. To do this, using the screwdriver and wrench (typically an 11mm), remove the grills, burners, and knobs. Remove anything extraneous so you can get as close to only what needs to be painted as possible. Most likely, you are repainting your Coleman because the paint is rusted or chipping. Either way, remove as much of the rust and old paint as possible. Using the hand sander and sandpaper, remove the rust and grime from the metal. 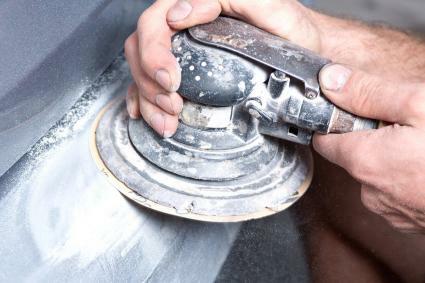 If you have a sandblaster or air gun, blow the Coleman off through the sanding process to see the areas that still need sanding. Since you are just removing rust, you can get a fine grit sandpaper. You don't need anything too rough. Once you've gotten your Coleman down to bare metal, use the paint brush and metal primer to prime everything you have sanded. Allow several hours for this to dry, depending on the brand. This step can take as long as 8 hours. If you want to skip the brushes, primer in a spray can is available. Once your primer has completely dried, apply a fresh coat of paint, using smooth strokes. Sometimes using the sponge paint brush for this step is helpful. The brand you use is up to you but keeping the original green color can ensure your work isn't patchy in case you missed any spots while sanding. Allow the paint to dry completely. Heat resistant spray paint in Hunter Green is also an option. Remember, if you use spray paint, lay down a cloth to prevent overspray. Repeat step 5. This might seem like a step you can skip, but don't. Adding a second coat ensures your paint is even and you covered any areas of bare metal, making sure all your hard work paid off. If you chose to purchase new decals, after letting your stove completely dry, add them. When all surfaces are stripped down to bare metal and you're ready to paint, the type of paint that you choose depends upon the part's proximity to the heat of the stove. Any paint you choose for the fuel tank will not only need to be heat resistant but also fuel resistant so spilled fuel will not strip the paint. Surface paint for the stove itself, which is usually the same original forest green, should be heat resistant as well; however, some areas of the case have less heat exposure. If you choose a paint type for one area of the case, it's best to use the same throughout for an even color. Some refurbishers use engine block paint, which is a very high temperature resistant paint. Unfortunately, it may be hard to find the colors that you need, like green. If practicality is more important than the aesthetic quality of the camp stove, stove paint is another option. While most common stove paints are usually only black, newer paints now offer other colors for more contemporary stoves, so check with your local stove dealer for stove paint options. Finding outdoor camp stoves that aren't in perfect shape but work great can save you a lot of money. Therefore, if you get a great deal on a Coleman stove, it can be worthwhile to give it a fresh coat of paint. While painting it is easy, you'll want to be sure the paint you use is designed to withstand heat; therefore, engine block and stove paint can work really well. Now, check it over and get painting.